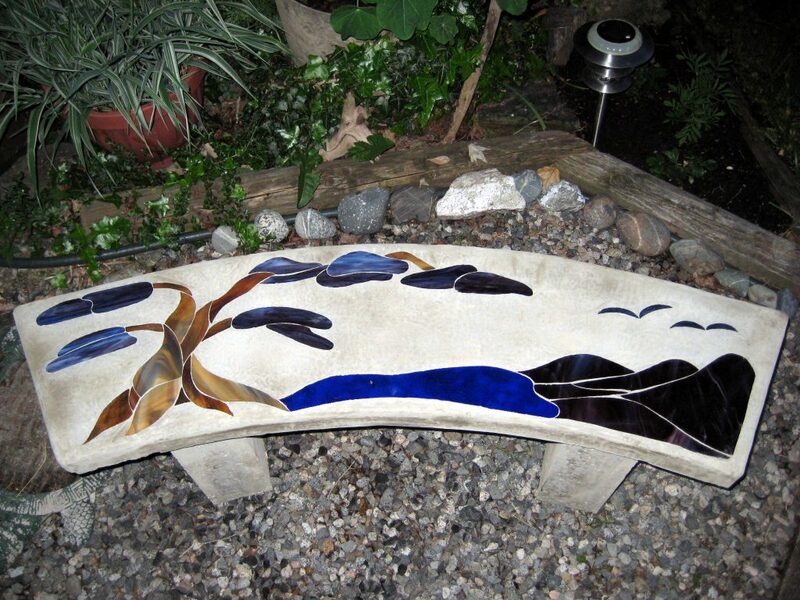 This concrete bench is reinforced with nylon mesh and is very strong and durable to our rainy weather. It is 48 inches long and 14 inches wide. When the sunshine reflects off the glass, it makes the color more vibrant, adding whimsy to the garden. It was alot of fun to create this piece!!! My partner Trevor helped me to make the template as well as mixing the concrete!!! He has been a huge help! I am creating a table to go with the bench. We can discuss prices if a client want to order. 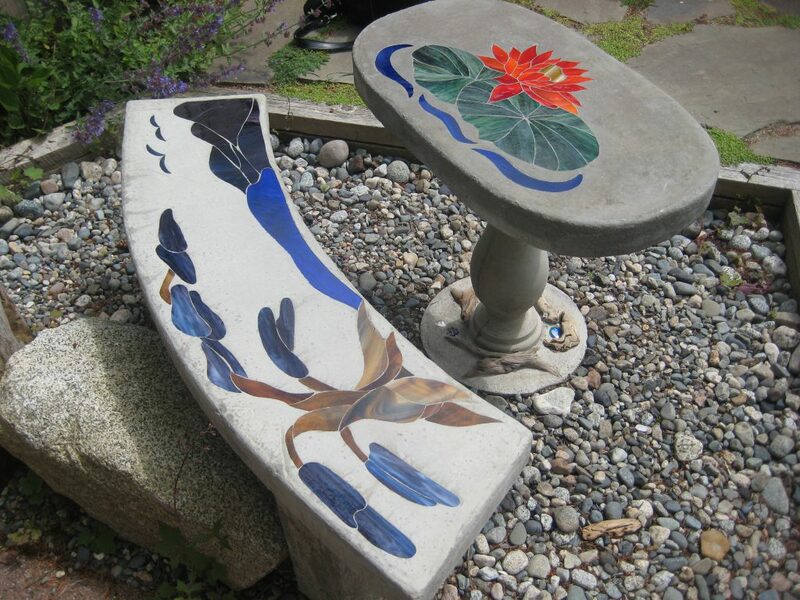 A new lotus table was created to compliment the bonsai bench, It was completed and installed in Dr. Evangelo”s garden paradise behind his dental clinic. It add some whimsy to his space, and usable too! !